Every event is one of a kind and it takes a special team of people to make it a success. 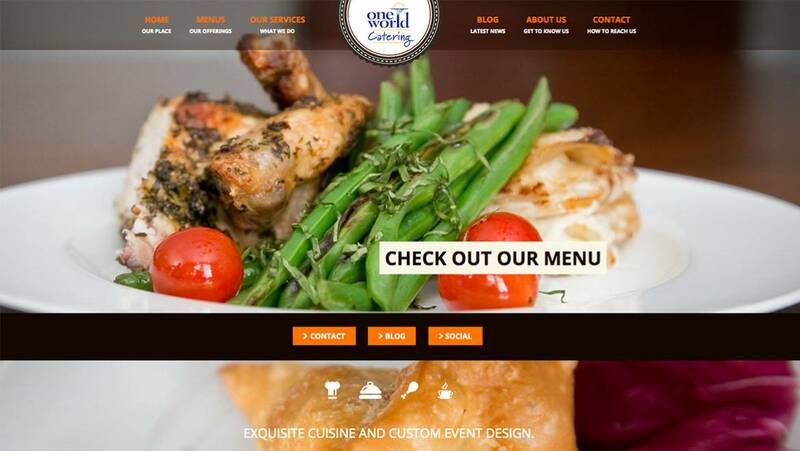 At One World Catering we create exquisite cuisine and custom event design. Our professionally trained chefs create all food in house using the freshest local ingredients available. We provide many options for ordering our food. On-Site Service: Our staff will work with you to create the event of your dreams. With on-site service, we will handle everything from set-up to tear-down. We can supply everything you need from casual disposables to china and glassware. Service charge starts at 20% and varies depending on the specifics of the event. Drop offs: These events are great when you have all the help you need, but just don’t want to spend all day in the kitchen. We drop off food and/or drink to a client in disposable serving-ware and can provide compostable serving utensils, compostable plates, napkins, and cups if desired. A service charge of 10% with a minimum of $20 will be added to all drop-off events. Pick-Ups: Our kitchen will prepare anything from a specific menu item to a special request. Special requests include, but are not limited to: special celebration cakes and other bakery items. No service charge is applicable. 2234 W Industrial Park Dr.